The International Organization of Vine and Wine has revealed that the consumption of wine across the globe increased slightly in 2011 thanks to added consumers in the United States and China. The organization, an intergovernmental industry group, said 242 million hectolitres (mhl) of wine were drunk last year, up 0.7 percent from 2010. In Europe, consumption fell by 500,000 hectolitres with a slight increase in France, but a contraction in Italy. German consumption grew while wine drinking fell in Spain, Britain and Portugal, the organization said. 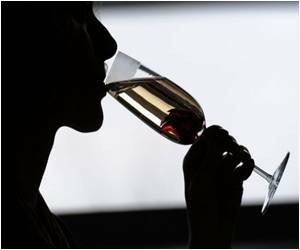 The United States, the world's second biggest wine consumer by volume, saw wine consumption rise 900,000 hectolitres to 28.5 mhl, while China wine drinking shot up by 1.5 mhl to 17 mhl. In 2011, France retook its position as the world's top wine producer with an output of 49.6 mhl, dethroning Italy. US production fell 10.3 percent from the previous year to 18.7 mhl.